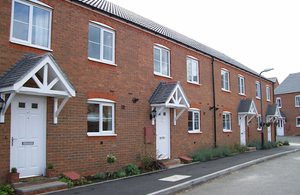 Today the government has announced borrowing restrictions will be removed enabling councils to play a key role in delivering the homes their communities need. In the latest measure by the government to make the housing market work, the Housing Revenue Account borrowing cap for council house building will be lifted. This gives councils the tools they need to deliver a new generation of council housing – up to an estimated 10,000 additional homes a year. Councils in areas of high affordability pressure have already been invited to bid for a share of £1 billion extra borrowing to build much needed homes. Today’s move recognises that councils see the borrowing cap as the greatest barrier to building new homes. The interest in bidding for a share of the £1bn borrowing increase also showed that they are ready and willing to deliver the homes their communities need. Removing the borrowing cap entirely is also likely to diversify the house building market, with councils being better able to take on projects and sites that private developers would consider too small. The cap will be lifted as soon as possible, with further details confirmed in the Budget.